I'm very excited to announce the theatrical release of LOOKING GLASS . I composed music for this Nicolas Cage film, directed by Tim Hunter ("River's Edge"). From hollywoodoutbreak.com, "Nicolas Cage continues his run of excellent work with Looking Glass...the feature centers on Ray and Maggie (Nicolas Cage and Robin Tunney) a dysfunctional couple who buy a motel that's housed in a mysterious and possibly dangerous small town...Hunter infused Looking Glass with a graphic comic book, B-movie style aesthetic, and that pulpy flavor absolutely works..."
It was great collaborating with Tim again. We previously worked together on his last feature, "The Far Side of Jericho. Tim's cinematic imagination, grounded in a deep knowledge of masters such as Hitchcock, always makes the work exciting. The soundtrack also features the music of Kristin Gundred and Andrew Miller. Last year, I was accepted as a new of member of music branch of the Academy of Motion Picture Arts and Sciences. The feeling I had when I received their email was much like the charge I got opening my letter of acceptance to the U.C.L.A. film school. Although music has been my primary focus for the past couple of decades, at one time or other I've been a cinematographer, sound and picture editor, foley artist, animator, actor, director, visual effects designer, and screenwriter...and I loved doing all of it, because I loved film. My affair with movie making began when I was in my early teens and in many ways, being a new member of AMPAS has reawakened the love I had for the medium as a kid. 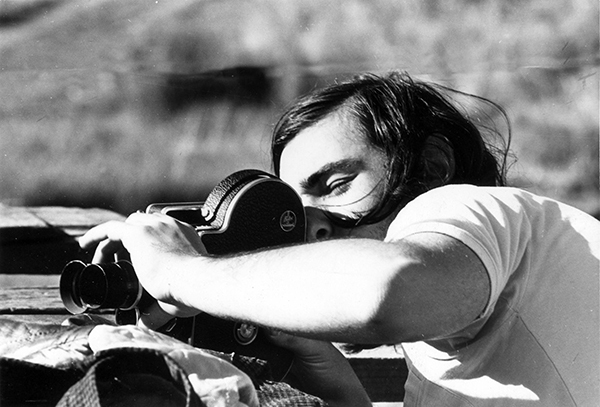 It also reminded me that as a composer, I've always viewed my work as that of a filmmaker whose specialty was music. It truly is an honor to have been accepted by my peers in the music branch. 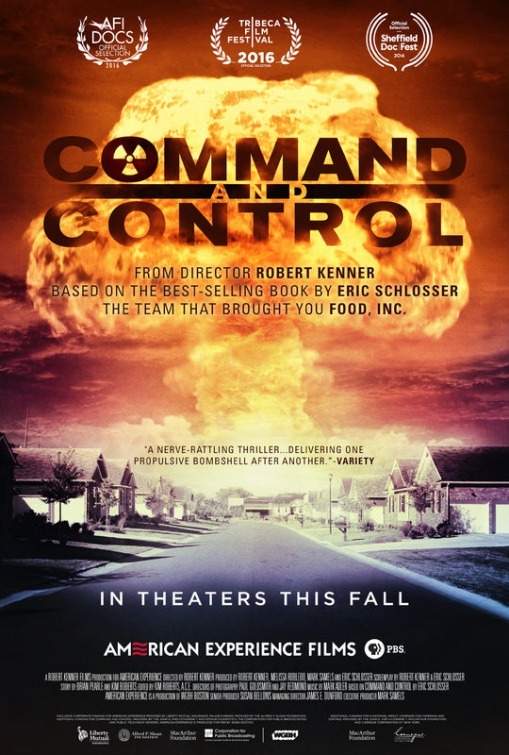 The film tells the long-hidden story of the unlikely chain of events which triggered an accident at a Titan II missile complex in Damascus, Arkansas in 1980. The feverish efforts which followed attempted to prevent the explosion of a missile carrying the most powerful nuclear warhead ever built by the United States. This is my 13th collaboration with director Robert Kenner. Each of his films is stylistically unique, and one of the inspiring aspects of working with him is the challenge of a new musical approach on every project That's certainly true on this film, which features a mostly-electronic score. Flavorwire singled out the "urgent music" (it's also ambient and atmospheric in places) which features vintage analog synths dating from period, as well as contemporary hybrid synthesizers and pulse engines. There's also some beautiful trumpet work by Tim Larkin, who played on the very first project I scored for Robby. The film premiered theatrically in the fall of 2016, and will be released on Apple iTunes and PBS in January. There's also a soundtrack release coming soon. 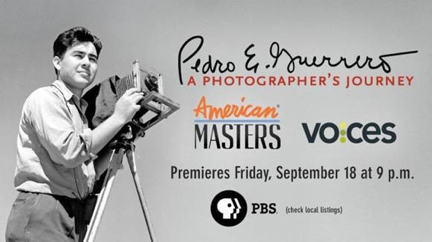 In Pedro E. Guerrero: A Photographer's Journey, filmmakers Raymond Telles and Yvan Iturriaga tell the largely unknown story of photographer Pedro E. Guerrero, a Mexican American born and raised in segregated Mesa, Arizona. Guerrero, who had an extraordinary international photography career, collaborated with three of the most iconic American artists of the 20th century: architect Frank Lloyd Wright and sculptors Alexander Calder and Louise Nevelson. Using his outsider's eye to produce insightful portraits of important modernist architecture, Guerrero became one of the most sought-after photographers of the "Mad Men" era. It's a score of mostly small ensembles: Marimba, guitar, clarinet, piano, and celesta. There's also some Miles Davis and Thelonious Monk-inspired jazz. Ray Telles and I first met and worked together when we were students at U.C.L.A., and it was great to reconnect with him on this project. This American Masters documentary premiered in September of 2016, and is being streamed on the PBS.org website. 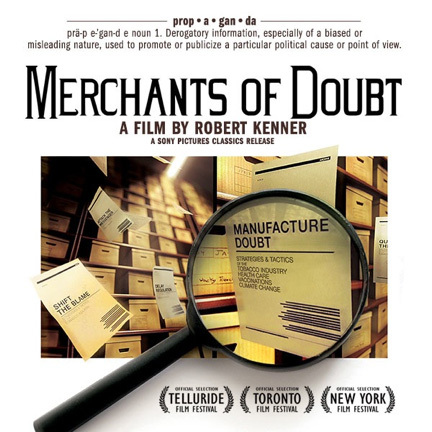 Inspired by the acclaimed book by Naomi Oreskes and Erik Conway, MERCHANTS OF DOUBT takes audiences on a satirically comedic and illuminating ride into the heart of American spin. This feature film lifts the curtain on a secretive group of charismatic pundits-for-hire who present themselves in the media as scientific authorities—yet have the aim of spreading maximum confusion about well-studied public threats ranging from tobacco to toxic chemicals to climate change. Released by Sony Pictures Classics and currently in theaters, this is my 12th collaboration with director Robert Kenner. Scored primarily for chamber orchestra (which was recorded at The Bridge with a fine group of Los Angeles musicians), the music also features mandola, melodica, gamelan, and organ. The score won the 2014 Hollywood Music in Media Award for Original Documentary Score, with the soundtrack available from Lakeshore Records. The physical CD will be released April 7th (Pre-order here.) Meanwhile, it's available digitally on iTunes and Amazon. I recently did an extended interview about the film and the score with Daniel Schweiger in Film Music Magazine, which you can read here. Arthur Dong's film THE KILLING FIELDS OF DR. HAING S. NGOR is premiering at CAAMfest, the largest festival of Asian American movies in North America. This film is my latest collaboration with Arthur, whom I've been working with since 1994. Here's his description: "When Dr. Haing S. Ngor was forced into labor camps by the Khmer Rouge, little did he know he would escape years of torture and recreate his experiences in a film that would win him an Academy Award®. This is the dramatic story about arguably the most recognizable survivor of the Cambodian genocide, a man who became a worldwide ambassador for justice in his homeland, only to be murdered in a Los Angeles Chinatown alley—a case still muddled with conspiracy theories." The film tells its story using an inspired blend of original animation and rare archival material. Stay tuned for distribution info. 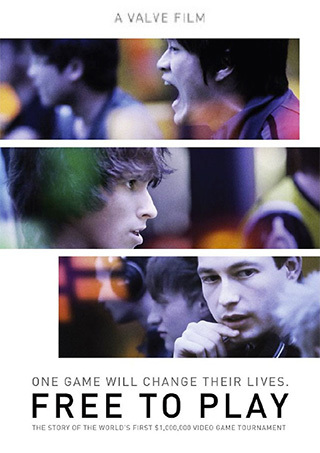 FREE TO PLAY tells the story of three professional video game players as they overcome personal adversity, family pressures, and the realities of life to compete in a $1,000,000 tournament that could change their lives forever. This documentary feature was produced by Valve Corporation, one of the world's most respected creators of video games. I composed the score using a mix of old- and new-school analog and digital synthesizers, as well as live strings and brass. 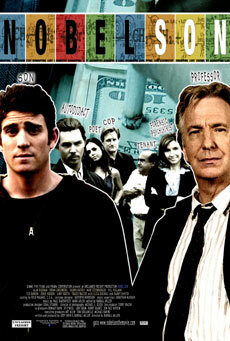 The film will be released March 19th on Valve's digital distribution platform, Steam. For those in San Francisco, Valve held a public screening of FREE TO PLAY at The Castro Theatre on March 18th at 8pm PT, followed by a Q&A with the creators and "special guests." Taking us from the bayous of Louisiana to the deserts of Namibia, from the beaches of Brazil to the villages of Okinawa, Roko Belic's inspiring film HAPPY combines powerful human stories from around the world with cutting edge science to explore the secrets behind our most valued emotion. 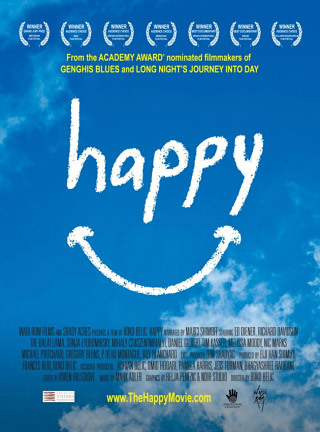 Roko's previous film, the Oscar-nominated "Genghis Blues," won the Audience Award at Sundance, and HAPPY has also been honored with a number of awards, including the Grand Jury Prize at the Amsterdam Film Festival and the Audience Award at Telluride. In keeping with the scope of the film, it's another eclectic score for me (including an on-screen cameo playing piano.) The film is available for rent on Netflix. There's no Daniel Day Lewis. There are no vampires. 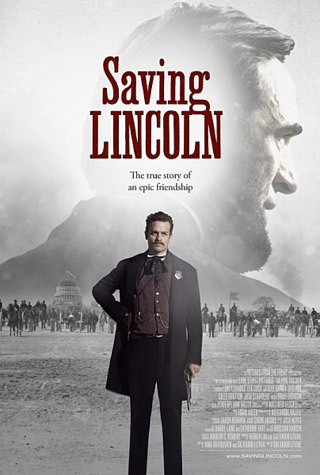 But Salvador Litvak's take on Abraham Lincoln is unique: SAVING LINCOLN is told from the viewpoint of the president's bodyguard, and the performers are composited into actual Civil War era photographs using a technique which Sal calls "CineCollage." The score was recorded with small ensembles using instruments from the period—banjo, fiddle, guitar, field organ, cello, bass, glass harmonica, and military field drums. One of the main themes can be heard here. 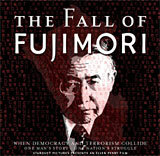 The film is available for rent or purchase on iTunes. 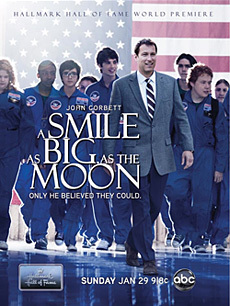 A SMILE AS BIG AS THE MOON, a new film from the Hallmark Hall of Fame, premiered on Sunday, January 29th on ABC, 9-11pm ET/PT. 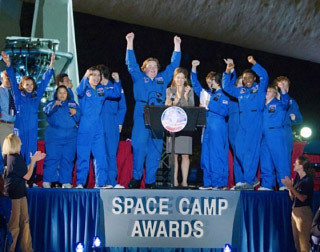 Featuring my fourth score for the series, the film stars John Corbett as a Michigan high school football coach and special-education teacher who helps his students achieve their impossible dream - to attend Space Camp at the U.S. Space & Rocket Center in Huntsville, Ala. The film is based on a true story, and many of the special-ed students are played by young actors who are, themselves, "special," with Down syndrome, ADD, autism, dyslexia, etc. Their performances are outstanding. David Low assembled the great band (strings, winds and brass), which we recorded at East/West studios. In addition, the score features marimba, dulcimer, bowed psaltery, mbira, gamelan, and percussion. The DVD is available here. Betty White portrays Caroline, the widow of a World War II navy pilot missing in action. Each Valentine's Day, she fulfills a promise made to her husband by returning to the train station where she saw him off 65 years earlier. Bara Jonson is a retired middle-aged businessman who lives with his mother on a small archipelago off the coast of Sweden. 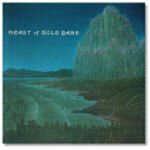 He finds love on-line by recreating himself as a twenty-something rocker inhabiting a virtual world. 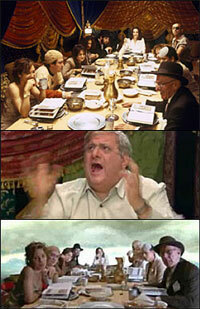 Two different films with two very different scores, both premiered last year in commemoration of Valentine's Day. 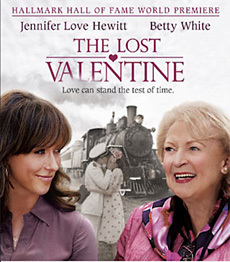 The Hallmark Hall of Fame presents Betty White and Jennifer Love Hewitt in THE LOST VALENTINE, which premiered January 30th on CBS. Directed by Darnell Martin (Cadillac Records), this story of hope, courage, and never-ending love spans three generations and moves from the jungles of the Phillipines to the urban landscape of a present-day American city. Audiences responded enthusiastically, making it the highest-rated Hallmark in four years. For me, it was a wonderful opportunity to write a classic, theme-driven score for a beautifully told story. The orchestra was recorded at East/West studios in Hollywood, and featured many of L.A.'s finest players. This is my third score for the Hallmark Hall of Fame. The film is now out on DVD, and is available here. 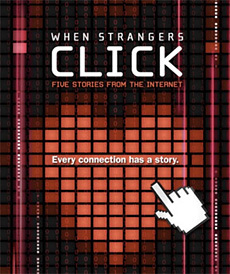 Premiering last year on Valentine's Day, Filmmaker Robert Kenner (Food, Inc.) took a decidedly different look at love in the HBO documentary special, WHEN STRANGERS CLICK: FIVE STORIES FROM THE INTERNET. Along with Bara's story (see above), the five segments examine how internet dating and social networking sites have changed the search for love. Each story received its own musical treatment, including synth and guitar-driven electronica, Celctic harp, dulcimer, melodica, and more. The project received high critical praise, with the New York Times calling the film "absorbing...a nuanced and enlightened view of romantic coupling" and the New York Daily News proclaiming "these are love stories for our time." This project marks my eleventh collaboration with Robert Kenner. 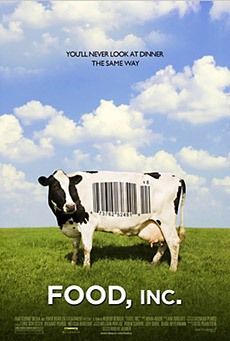 FOOD, INC. has won two New and Documentary Emmys (Best Documentary and Outstanding Informational Programming) and was nominated for an Oscar in the documentary feature category. It was also one of the best-reviewed films of 2009, currently with a 96% rating on Rotten Tomatoes (see Variety's review here). Both the film and the score were nominated for Cinema Eye Honors. This film by Robert Kenner lifts the veil on our nation's food industry, exposing the highly mechanized underbelly that's been hidden from the American consumer with the consent of our government's regulatory agencies, USDA and FDA. 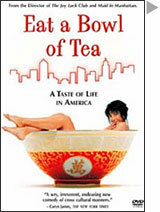 Featuring interviews with such experts as Eric Schlosser (Fast Food Nation), Michael Pollan (The Omnivore's Dilemma) along with forward thinking social entrepreneurs like Stonyfield Farm's Gary Hirshberg and Polyface Farms' Joel Salatin, Food, Inc. reveals surprising—and often shocking truths—about what we eat, how it's produced, who we have become as a nation and where we are going from here. The film received a standing ovation when it premiered at the Toronto Film Festival. The 70 minutes of score was recorded with a 28 piece chamber orchestra and rock and roll band at Capitol Studios; in addition, solo guitars, fiddle, keyboards, and Strumstick were recorded in my home studio. I'm fortunate to count guitarists Peter Maunu and Paul Viapiano as friends, as well as long-time collaborators. Peter was a founding member of the ground-breaking band Group 87, and has played on dozens of film scores, as well as on sessions with Jean-Luc Ponty, The Pointer Sisters and The Commodores. Paul is fine classical guitarist (who is equally at home with folk, rock and jazz). He appears frequently with the Los Angeles Philharmonic, where I recently heard him perform Pierre Boulez' extraordinarily demanding Le marteau sans maître. On "Food, Inc.," the two of them covered everything from rootsy dobro and acoustic guitar to ambient electronica loops to heavy metal leads, as well as joining with bass player Bob Glaub (Jackson Brown, Tracy Chapman, Carole King) and drummer Matt Laub (Alanis Morisette, Edgar Winter) to form one amazing band. David Low played cello and contracted the superb orchestra with René Mandel as concertmaster, and the music prep was (as usual) beautifully done by Julie and John Eidsvoog. Other soloists included session veteran Tom Boyd on oboe and Grammy-winner Charlie Bisharat on fiddle. I played keyboards (piano, celeste, organ, and industrial samples) and Strumstick. Engineer Daryn Roven achieved the great orchestra and drum sound at Capitol Studio A. The film is now available on DVD and has been broadcast on the PBS series POV. Writer/director Barra Grant's romantic comedy LOVE HURTS opened the 15th Annual Temecula Valley International Film and Music Festival. Featuring some great performances from Richard E. Grant, Carrie-Anne Moss, Jenna Elfman, Janeane Garofalo and Johnny Pacar, the film tells the story of a husband and wife who struggle to rediscover what brought them together while their son embarks on the first true romance of his life. The film played in limited release this past November at the Laemmle Santa Monica and Laemmle Encino. The score is, in turns, romantic, quirky, wistful, and Russian. This is my second collaboration with Barra (see LIFE OF THE PARTY, below). Cutting edge science and Arctic adventure come alive in WAKING THE BABY MAMMOTH which premiered in 2009 on the National Geographic Channel. 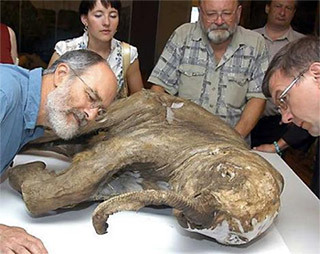 The film tells the story of a unique discovery: a perfectly preserved baby woolly mammoth that suddenly appears on a Siberian riverbank, triggering an extraordinary investigation into her life and death at the end of the Ice Age. Solving the mystery of her origins unites men whose lives are worlds apart except for their link to the woolly mammoth. The film interweaves the stories of the Nenet reindeer herder who found 40-thousand-year-old Baby Lyuba—and a renowned paleontologist who attempts to unlock her secrets. I developed themes inspired by folk melodies of the Nenets people for the 77 minute orchestral score. 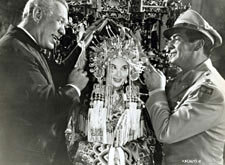 HOLLYWOOD CHINESE aired in 2009 on PBS, as part of the series "American Masters." This award-winning feature documentary is a multi-faceted look at American cinema through the lens of the Chinese-American experience, and through films from an industry that was often uninformed about issues regarding race, yet at times could be surprisingly sensitive. The film (my third project with Academy Award-nominated director Arthur Dong) includes interviews with Ang Lee, Nancy Kwan, Joan Chen, David Henry Hwang, Amy Tan, and others, as well as clips from classic and current films. PRIMARIES AND SECONDARIES is the name of Robert Irwin's recent retrospective at the San Diego Museum of Contemporary Art. It's also the title of Leonard Feinstein's 18 minute film which accompanies the exhibition. Lenny and I have collaborated on numerous projects over the years, and this marks our third film about the artist. Irwin's work is rooted in Abstract Expressionism, but during his fifty year career he has moved from gestural painting to major installation projects such as the Los Angeles Getty Museum's monumental gardens. 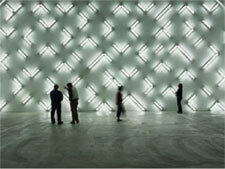 His interest in altered consciousness helped define the aesthetic of the West Coast Light movement in the late '60s. The show also featured five new site-specific installation pieces (see photo.) The film documents the creation of one of the pieces, and includes extensive interviews with Irwin. The soundtrack of MARILYN HOTCHKISS' BALLROOM DANCING & CHARM SCHOOL made Film Music Magazine's Cineradio Top 20 for the month of May in 2006. (This list reflects airplay of film score music on terrestrial, internet and satellite radio in the US and Canada.) The CD is available from Milan Records, and the DVD is currently in release. Director Randall Miller's film had its premiere at the 2005 Sundance Film Festival, where its initial screening was greeted with a standing ovation. Festival director Gary Gilmore describes the film this way: "There is a purity of spirit and heart in Marilyn Hotchkiss' Ballroom Dancing & Charm School that hearkens back to a simpler, more straightforward place, a place that draws from emotional memories of growing up, with its scars and lost dreams.... Without question, Marilyn Hotchkiss reaches out and touches you deeply." The cast includes Robert Carlyle, Marisa Tomei, John Goodman, Mary Steenburgen, Donnie Wahlberg, Sean Astin, David Paymer, Sonia Braga, Camryn Manheim, and Danny DeVito. I play piano on the orchestral score, which also incorporates tin whistle, Tibetan bowls, gamelan, and wind chimes, and features violin solos by Sid Page. WHEN DO WE EAT? is now available on DVD. This first feature from director Salvador Litvak (who co-wrote the film with his wife Nina Davidovich) tells the story of a Passover gone crazy when the family patriarch unknowingly ingests a hit of ecstasy. The film features a great ensemble cast, including Jack Klugman, Michael Lerner, Lesley Ann Warren, Max Greenfield, and Adam Lamberg. WHEN DO WE EAT? was also named Best Comedy at the Napa/Sonoma Wine Country Film Festival, and Sal received Best Director award at the Tahoe/Reno International Film Festival. The klezmer-inspired score features Leo Chelyopov on clarinet, René Mandel on violin, Paul Viapiano on guitar, Jim Self on tuba, Dave Carpenter on bass, and Wayne Bergeron on trumpet. The soundtrack is available from JMG Records. THE RON CLARK STORY premiered in 2006. Directed by Randa Haines and featuring Mathew Perry in the title role, this Emmy-nominated television movie tells the true story of an elementary school teacher whose work with inner city kids turns their failing grades to "A"s and transforms their lives. (The kids' performances are outstanding.) Perry received Golden Globe, SAG, and Emmy nominations for his performance, Randa was honored with a DGA nomination, film editor Heather Persons received an EDDIE nomination, and music editor Joanie Diener was nominated for an MPSE Golden Reel Award. The score uses guitar, bowed autoharp, glass jars, metal pots and plastic pipes. Also premiering in 2006 (on Lifetime) was LIFE OF THE PARTY, a comedy drama from writer/director Barra Grant. Starring Eion Bailey and Ellen Pompeo, the film tells the story of an affable alcoholic whose friends and family arrange a psychological intervention in an attempt to help him. When the psychologist fails to show, events take an unexpected turn. The film is highlighted by strong performances and a great script. The score features clarinet, bass clarinet, melodica, harp, and percussion. In the turbulent fall of 1967, a devastating ambush killed more than 60 U.S. soldiers in a Vietnamese jungle, while half a world away at the University of Wisconsin, a peaceful protest against the war spiraled out of control. These events are chronicled in TWO DAYS IN OCTOBER, a powerful, Peabody and Emmy Award-winning documentary directed by Robert Kenner. Based on the Pulitizer Prize-winning book, "They Marched Into Sunlight," the film launched the 2006 season of American Experience, on PBS. (The project marks my ninth collaboration with Robby.) It's a mostly electronic score, featuring solos by Tim Larkin on trumpet and Chris Bleth on bamboo flutes. LIVING WITH WOLVES premiered on Discovery Channel in 2005. This two-hour program offers a compelling behind-the-scenes account of wildlife filmmakers husband and wife Jim and Jamie Dutcher, in a prequel to the Dutcher's Emmy award-winning documentary WOLVES AT OUR DOOR (I had also scored their earlier film.) The beautifully photographed program (which received an Emmy nomination for cinematography) delves into the filming, memorable moments, struggles and logistical problems faced by the couple as they spent six years living with a pack of captive wolves in the Sawtooth Mountains of Idaho. The folk-flavored orchestral score features guitar and fiddle solos. 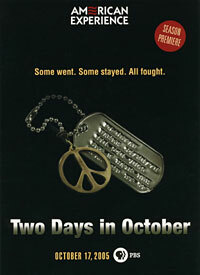 2005 saw the untimely loss of a friend and collaborator, the co-writer and director of the film PICTURE BRIDE. Kayo Hatta was one of the most gifted, beautiful, down-to-earth, and genuinely spiritual people I've had the good fortune to know. Much of who she was continues to live on in her beautiful film. Starring Youki Kudoh and Tamlyn Tomita, this story of a young Japanese woman who comes to Hawaii in 1918 to work in the sugar cane fields won the Audience Award at the 1995 Sundance Film Festival and received critical praise on its theatrical release. (Toshiro Mifune has a cameo in one of his last roles.) The orchestral score features James Walker on bamboo flutes and Peter Maunu on guitar. Miramax released "Picture Bride" on DVD last year. "Pedro E. Guerrero: A Photographer's Journey"
"The Killing Fields of Dr. Haing S. Ngor"